An environmentally friendly alternative to synthetic fertilizers! 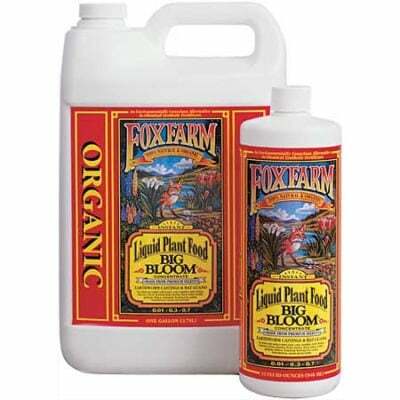 FoxFarm Big Bloom Liquid Plant Food is a carefully selected blend of 100% organic fertilizers specially formulated to encourage strong, extra large blooms, sweeter fruit and thick seed pods. 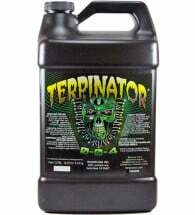 Contains high concentrations of worm castings and bat guano… perfect for the home gardener! 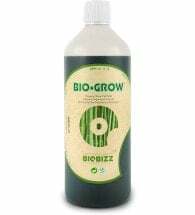 A fast acting source of nutrients for plants, soil and hydroponic systems. For best results, mix 2-4 Tbsp per gallon of water and apply every other time you water. 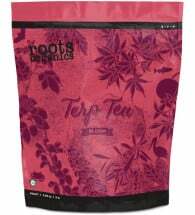 Gentle enough to be used throughout all stages of plant growth. May be added to your watering container or used with a no-clog hose end sprayer, siphon mixer or through drip irrigation. Ingredients: Earthworm castings, bat and seabird guano, rock phosphate, sulfate of potash magnesia (a mined natural mineral) Norwegian kelp.